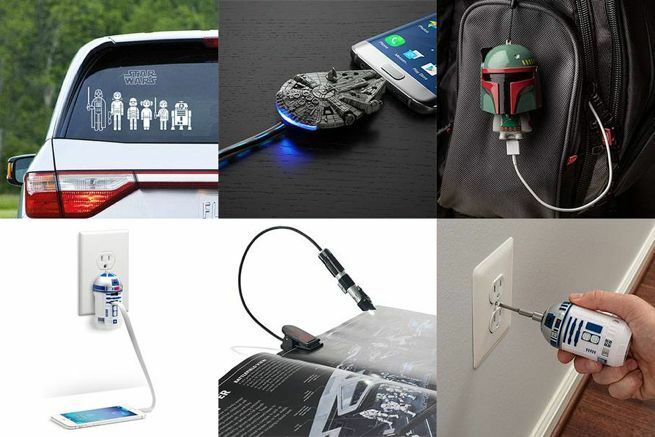 ThinkGeek is currently running a sale on several Star Wars gadgets and tools that you will probably find useful on a daily basis. Actually, the word "sale" doesn't quite capture the magnitude of these discounts. All of the items listed below are $10 or less after discounts that range between 50 and 93 percent off. Keep in mind that shipping is free on orders of $75 or more, but if you grab several of these, spending $5 or so on shipping still makes it a huge deal. If you're looking for additional ideas, you can shop their entire Star Wars collection right here, or hit up their bestsellers here. On a related note, the neighbors will have a hard time competing with your Christmas display this year if you have an 8-foot, inflatable Star Wars AT-M6 Gorilla Walker in a Santa hat looming over your lawn. Ordinarily, we would say that September is a bit too early to get into Christmas decorations, but the fact is that this epic Star Wars: Episode VIII - The Last Jedi AT-M6 is currently backordered on The Home Depot website for $149 with the next batch expected on September 17th. If you want it, you should get in line now because they might be hard to find during the holiday season. Keep in mind that you won't be charged until it ships. You can place an order right here with free shipping. 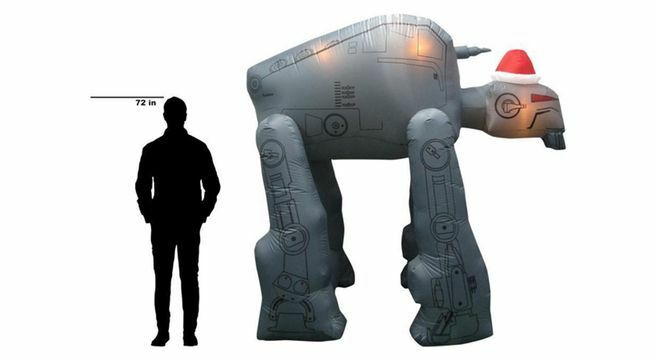 "Make a singular statement with this giant Airblown Inflatable Gorilla Walker decked out in a Santa hat. Delight children and adults alike with this Star Wars holiday decoration that self-inflates in seconds and includes energy-efficient LED lighting for nighttime visibility. No assembly required. Plug it in, stake it down and watch the magic unfold."